Albuquerque Pharmacy is a long term care pharmacy located at 500 Louisiana, NE inside the Princeton Place Nursing Facility. The pharmacy is part of a family owned business that originated in Plano,Texas in 1988. Today, Albuquerque Pharmacy has sister pharmacies located in Texas and Louisiana. Albuquerque Pharmacy’s long term care pharmacy services skilled, assisted-living, alternative care facilities and hospice care providers. Because long term care is a 24/7 business, one of the biggest challenges can be getting medications from a pharmacy provider when they are needed the most. Albuquerque Pharmacy takes pride in providing 24 HOUR/365 DAYS A YEAR delivery services in Albuquerque and Rio Rancho by using a unique communication system for after-hour and emergency prescription requests and offering Evening, Night, Holiday and Emergency 2-Hour delivery, so facility staff can be confident their medication needs will be met at ANY time. Albuquerque Pharmacy provides on-site pharmacy consulting. We are also phasing in real time technology such as electronic medical records and on-site stock medication access (StatSafe). We are committed to maintaining and updating our systems and equipment as improvements become available to better serve our customers. Albuquerque Pharmacy provides professional, personalized consulting services for long term care facilities encompassing resident safety, facility compliance and staff education. Monthly consultations review all medication use in the facility, focusing on recommended use and dosing, lab monitoring, and periodic evaluation of medication effectiveness. Weekly consults review new admissions, re-admissions, or residents with a change of condition. 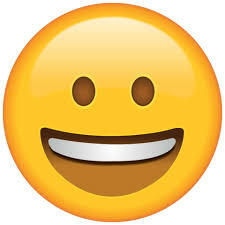 Our services also review facility administration techniques and medication storage to ensure state and federal requirements. Albuquerque Pharmacy’s consulting staff provides in-service pharmacy programs or one-to-one discussions to answer medication questions. Albuquerque Pharmacy’s consulting staff works to monitor the many aspects of pharmacy in the long term care facility to make them manageable, practical and personal. Albuquerque Pharmacy currently employs 14 staff members, including pharmacists, pharmacy technicians, and delivery drivers. Albuquerque Pharmacy’s upper level management staff and coporate office is located in San Antonio, Texas. Along with Albuquerque Pharmacy the company as a whole employs over 70 staff members, including pharmacists, pharmacy technicians, delivery drivers, billing staff, HR, IT, and administrative assistants. 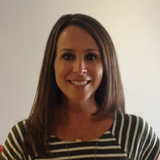 In 2002, Angela D. DiPaolo joined Albuquerque Pharmacy as the Director of Pharmacy Operations. 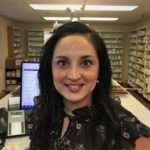 She prides herself in training her staff to offer efficient, accurate and timely prescription service to customers while adding a personalized touch. Her passion for pharmaceutical care has guided Albuquerque Pharmacy to grow to seven Retail and Long Term Care pharmacies, which provide excellent pharmaceutical care at affordable prices. Angela D. DiPaolo, is a graduate of the University of New Mexico and resides in San Antonio, Texas with her two sons.